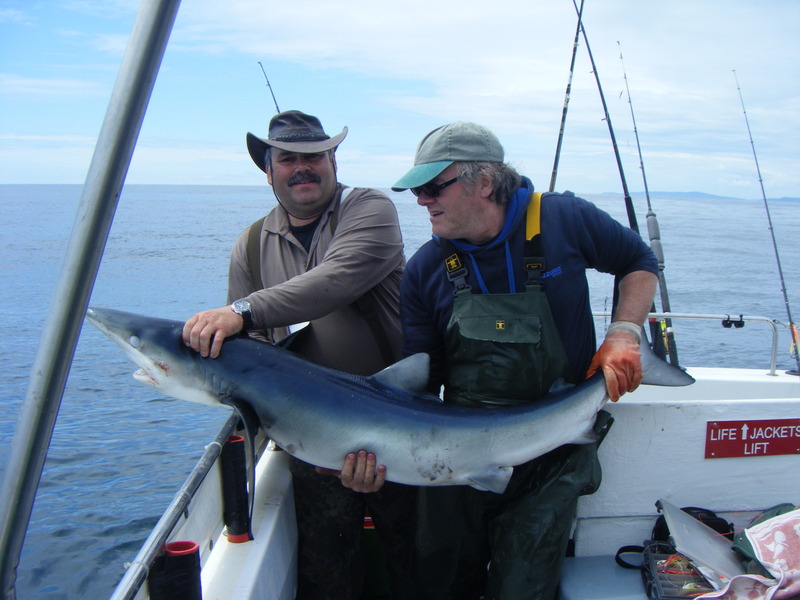 1st blue shark of our season was landed on 11th june we also lost 2 , fishing has been very lively plenty of nice pollack up to 5kg , cod have been a bit scarcer . We had 15 conger in 1 hour last week up to 12 kg, there are plenty of mackerel most days . We have also been catching bullhuss, pouting , wrasse, coalfish, and ling.